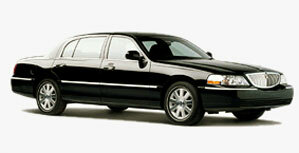 For the discriminating corporate client, KON Limousine offers luxury transportation at reasonable prices. Our luxury fleet of stretch limousines and executive sedans are meticulously maintained to ensure excellence in safety, style and comfort. Corporations require discriminating and professional service for their executives and those are the types of demands our company has continued to meet and surpass in all related fields. We are adept at managing every type of reservation and we can dispatch our fleet to every business and recreational event, from conventions to corporate functions. We provide service 24 hours a day, 365 days a year. Any business or office may open a corporate account with us and benefit from volume service pricing. Corporate accounts receive detailed invoicing upon request, or you can opt for direct credit card billing. We guarantee availability to all of our Corporate Accounts. Call us now to set up your corporate account.